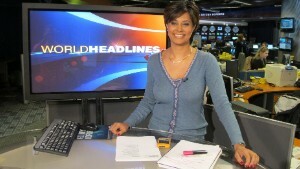 Editor’s note: Zain Verjee presents the Europe morning show for CNN International from London. She is from Kenya. Entebbe, Uganda (CNN) — State House Entebbe ebbed and flowed with dramatic contrasts: laughter at sexual jokes versus the pain of impending persecution and prosecution; Western freedoms clashing with African culture; an unwinnable battle between science and learned behavior; nature and nurture. Who decides? President Yoweri Museveni did, in this moment, inking into law harsh penalties for gay people, supported overwhelmingly by Ugandans. I was floored at the barrage of criticism belted out to The West. “Arrogant western groups are to blame.” Applause. “Leave us alone.” Applause. “We don’t need your (donor) money.” Huge applause. The press conference was attended by MPs, scientists, Ugandan officials and other journalists. I stepped out for a moment to do a report by telephone, which we call a beeper at CNN, and returned to a room that was pretty jovial. It felt uncomfortable to laugh about something that had such serious implications. “What did I miss?” I asked my producer Antonia. “Something about the mouth being for kissing and eating only, and not for going south, only north,” comments delivered by the president to more laughter, she said. I approached the mic and asked two questions that were significantly less amusing — there was palpable tension in the room as a blanket of silence descended. I was in the minority, raising subjects like human rights and freedom of speech, and asking if he wasn’t taking Uganda a step backwards in time? The response tore into Western values and ripped to shreds any willingness to tolerate Western ideas around sexuality or “social imperialism,” as the president put it. She nodded and folded up the note we wrote to an aide requesting an exclusive interview with the president. Newsflash to me: I realized then that Uganda clearly didn’t feel dependent on Western aid money. Perhaps China, a big Africa player, and Russia, could be stronger future allies. We caught the president on his way out of the room and he agreed to an exclusive CNN interview on the spot. We were whisked to the elegant boardroom and offices and set up. My colleagues Fabian and Antonia set up a two-camera shoot in five minutes. President Museveni made his argument: gay people are disgusting, and I made mine: they are not. He laid out his case based on the scientific research he was presented with and insisted homosexuality was a learned social behavior that can be unlearned. I was born and bred in Kenya and I believe that each individual has a right and the freedom to love whoever he or she chooses, gay, or straight. But here in Uganda, I am in the minority here. Why is he doing this? Moral conviction, but he is also looking ahead to the 2016 elections and the majority of his electorate is overwhelmingly anti-gay. However Museveni denies it is an election ploy.